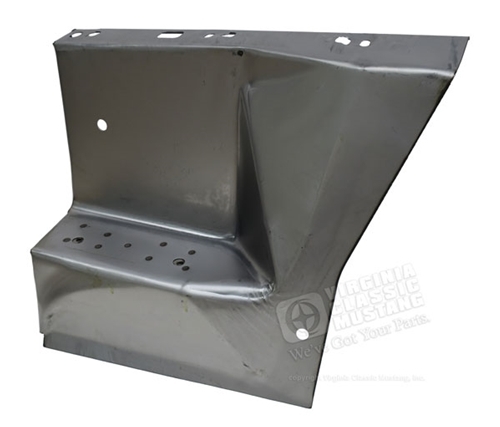 1967-68 Mustang RH Front Battery Apron Sheet Metal. This is a very nice panel formed just like the original with the proper fender clip mounting holes stamped in the top. Correct reinforcement brace spot welded to under side, just like the original. Properly installed, this apron is great for even the highest level concours restorations.